The latest updates about the spread of Xylella fastidiosa in olives in Apulia and the activities run by the H2020 projects POnTE and XF-ACTORS to hamper the bacterium were presented by Piefederico La Notte of IPSP-CNR at a National Rural Network’s conference focused on the technical approaches to control plant diseases in organic farming. 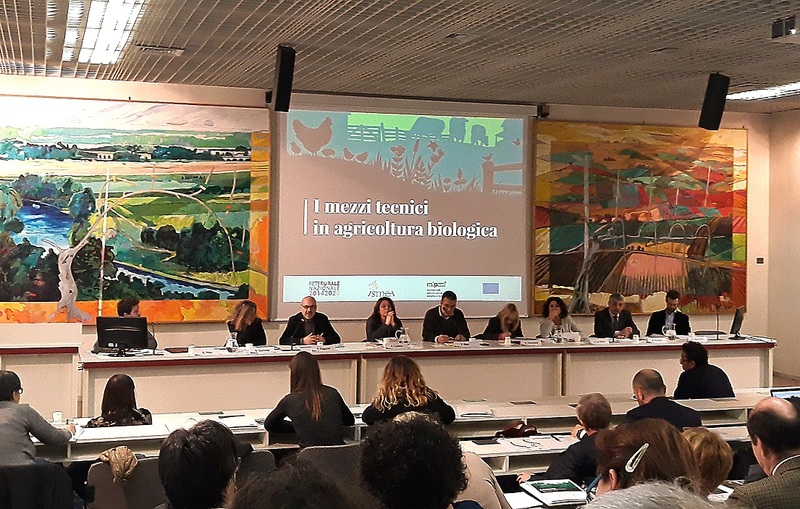 On March 22, in Rome (Italy), the National Rural Network (Rete Rurale Nazionale) organized a day event on the “Technical approaches to control plant diseases in organic farming”, dedicated to farmers, companies and researchers working in the sector of the organic farming. Organized by ISMEA and held at the facilities of CREA – partner in the XF-ACTORS consortium – the meeting aimed to implement the dissemination and communication actions in order to better describe the advantages and the critical points of the cultivation under organic regime, and to provide a continuous update on the new legislative provisions and requirements. During the conference, a speech by Pierfederico La Notte (CNR-IPSP), co-authored by Enza Dongiovanni (CRSFA) and Maria Saponari (CNR-IPSP), presented: “Xylella fastidiosa: the emerging phytosanitary threat to olive and trials to control the epidemics”. An update on the current situation on the impact of the spread of X. fastidiosa on olive trees in Apulia, and a brief report on the field trials setup for the control of the vector populations under organic farming regime, currently under development within the H2020 projects POnTE and XF-ACTORS.